We are hard wired to appreciate a symmetrical balanced design style, or one that is asymmetrical. S Interior Design strives to understand which direction their clients lean prior to our development of their design plan. You describe something as asymmetric when it lacks the mirror-image quality of symmetry. 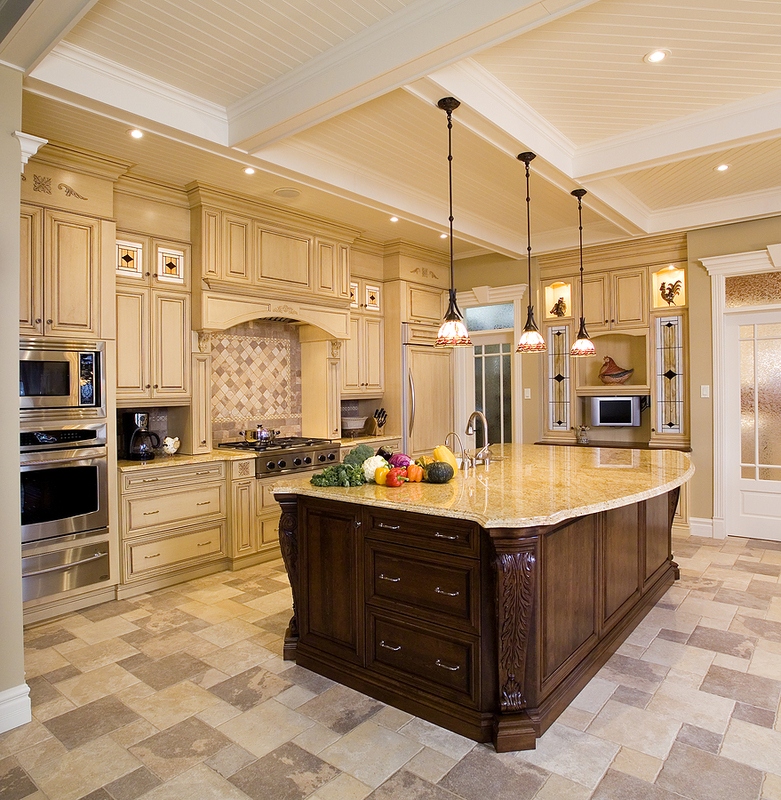 Below is a guest post specifically on achieving symmetrical design in a kitchen. Symmetry creates visual balance, which brings with it a sense of order and peace. Striving for symmetry in your kitchen design can make your kitchen a more relaxing and enjoyable space to work in. This is especially important, considering the kitchen is often the most used room in the house. 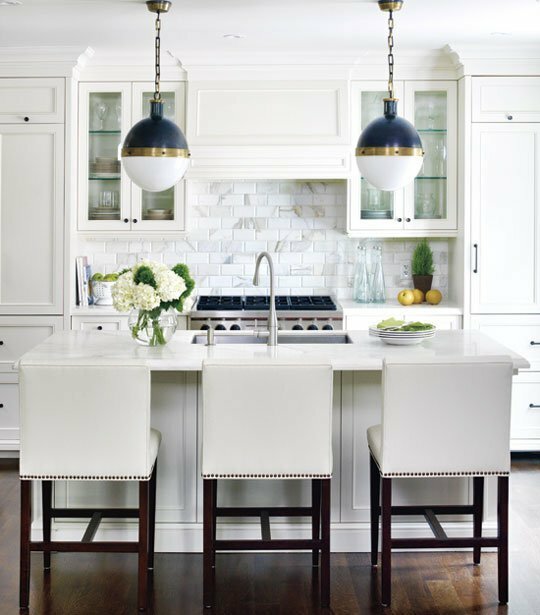 The following design ideas can help you bring much-needed symmetry to your own kitchen’s design. Lighting is one of the first places where asymmetrical choices can affect the mood. Begin first by balancing the overhead fixtures. Replace a single off-center fixture with two evenly spaced fixtures, or use a larger center fixture. This will add balance to the room. If your kitchen has a large window at one end, hang a mirror at the other end or use mirrored tiles for a back splash opposite the window. This will help balance the light from the window. Rooms with additional lighting, such as task or under cabinet lights, also benefit from symmetry. Make sure these lights are used evenly throughout the room, or that the fixtures are hidden away when the lights aren’t in use. Your storage solutions are another simple way to add symmetry to the kitchen. If you have exposed shelves or storage, opt for two of each. For example, frame in each end of your pantry with exposed shelves. If you run shelves above the sink, use an even number. The goal is to keep everything balanced. A large kitchen island doubles as an in-kitchen eating area, homework station, or just a place to relax. This means you need seating in your kitchen. The amount of seating depends on the size of your island. Generally, you can easily fit up to three stools along one side of an island. One stool will look unbalanced, while two or three provide more symmetry. Make sure the stools all have the same color and design so they can carry the symmetrical look to completion. Cabinets are a more costly change, but they will provide the most bang for your decorating dollar. Make sure the cabinets you choose are all the same height. You can select cabinets of different widths, but balance them on either side of a focal point. Generally, the focal point is the sink or oven range. Opting for cabinets in a single color can provide a cleaner, more symmetrical look. Also, make sure that the knob or handle design is the same throughout the entire kitchen. For example, avoid opting for handles on drawers and knobs on cabinets; instead, use the same on both the drawers and the cabinet doors. Accessories are the final key to symmetrical design. Whether it’s balancing any artwork on the walls, or centering a hanging pot rack perfectly over the center island, balance is necessary. Don’t overlook your counter tops when arranging items. For example, balance a pretty soap dispenser on one side of the sink with a lovely glass vase with a single flower on the other side. I wanted to share a wonderful article published by Fresh Home about why our brains feel innately comfortable with visual symmetry in design plans. 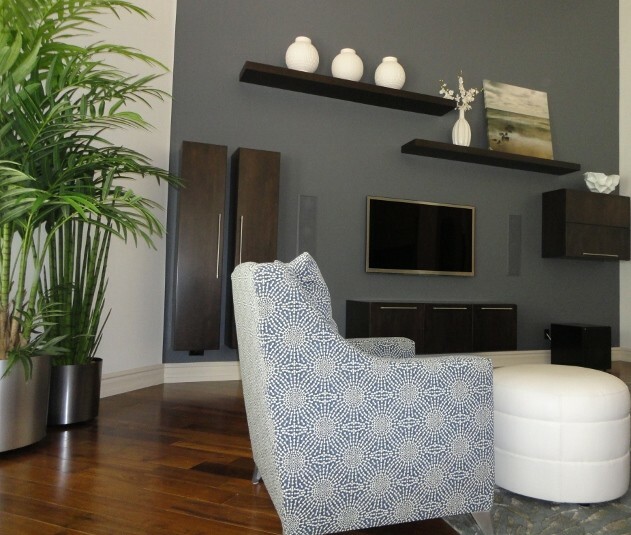 “We all know an example of good interior design when we see it. In fact, most of us can make that judgment almost instantly. Have you ever wondered why that ability seems to come to us so instinctually, even though we may not be professional interior designers? It all has to do with symmetry, or a sense of balance, that has been achieved within a space. Symmetrical design cues effect our subconscious, even when they are too subtle to be consciously acknowledged with our first glance. All of us are drawn to balanced images and tend to think them more aesthetically pleasing than their off-kilter counterparts. As for why we love symmetrical spaces so much, you’ll have to read on to find out. Plus, you’ll discover how to bring a harmonious feel into your own interiors, regardless of your personal style.